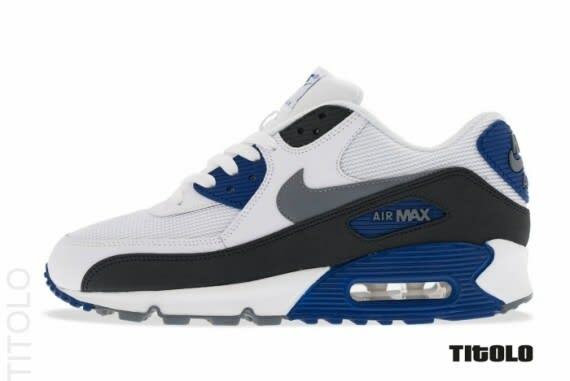 Nike Air Max 90 Essential "White/Classic Grey–Deep Royal Blue"
The Essential edition of Nike&apos;s Air Max 90 has returned this month in a clean white, grey and blue color combo. The Max re-up notes leather, mesh and synthetic construction, as both grey and blue branding has been utilized throughout, while white laces complete the Nike Sportswear delivery. If you&apos;re liking what you see in this Air Max 90 Essential option, then you can cop your size today through brand accounts such as Titolo.